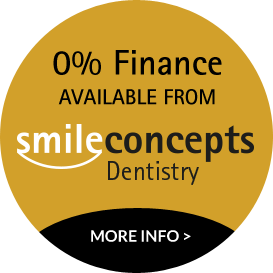 At Smile Concepts, in Solihull, Birmingham, we can offer adhesive bridges which are “glued “to adjacent teeth (where appropriate) with no or minimal tooth preparation or conventional bridges which can be “all ceramic “and metal free. Conventional dental bridges are fixed form of restorative treatment that is used in cases where teeth are missing. A bridge is created by manufacturing crowns for the teeth on each side of the missing tooth, after which a false tooth is placed between the crowns. Depending on the strength of your remaining teeth, a bridge can be anchored by real teeth or implants. Once this process is complete the bridge will be bonded in place. A dental bridge can provide a durable solution for teeth that are missing. Dental bridges will also help to prevent opposing our adjacent teeth from moving out of position, restore essential functions like chewing and speaking, and last for several years as long as you maintain good oral hygiene standards.